Rick Gion recently returned from southwestern North Dakota, having hunted pheasant around Mott and Regent. 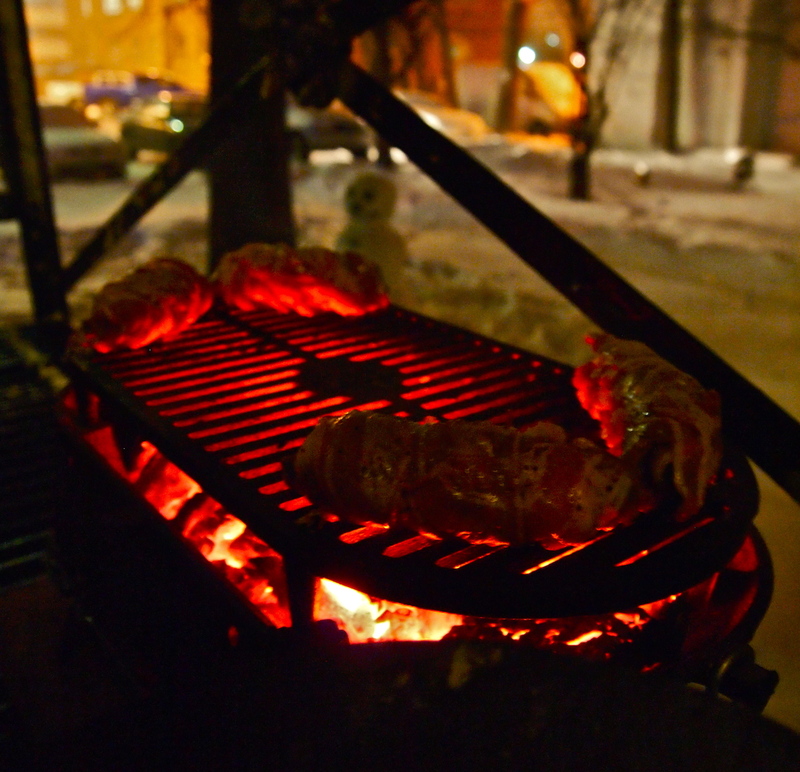 He brought back pheasant, and we — Rick, Molly and I — ended up grilling them last night. 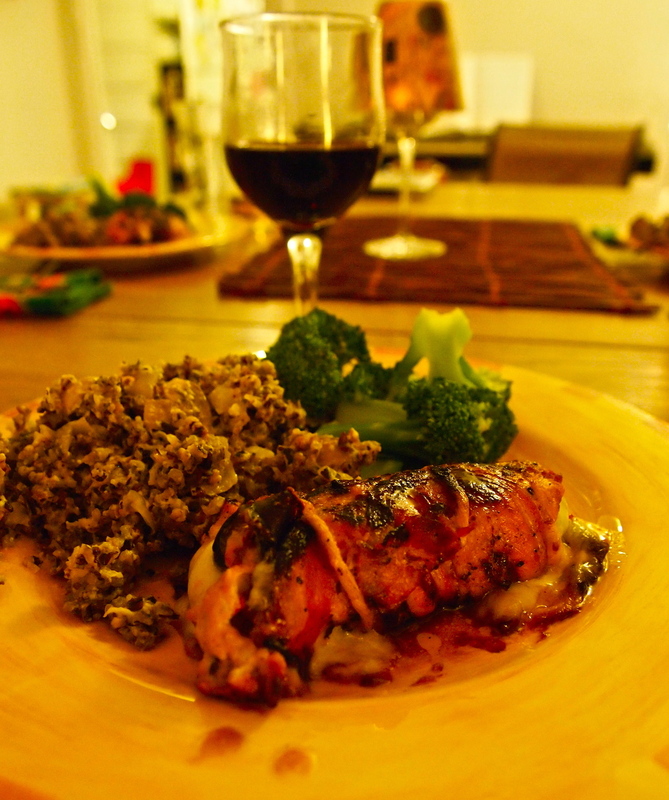 Rick pounded out the pheasant breasts and made a roulade, tying them up with peppers, jack cheese, and prosciutto. It, the weather, also decided to turn to a blizzard — icamnatanka — leading up to the grilling. So we just forged ahead. Molly prepared a delicious wildrice-mushroom hot dish, inspired by Linda Whitney (my aunt) and her knowledge of how they prep wild rice hot dishes up around Devils Lake, North Dakota in general. It was a northern Great Plains winter meal through and through. Here are some photos from the late afternoon and evening. 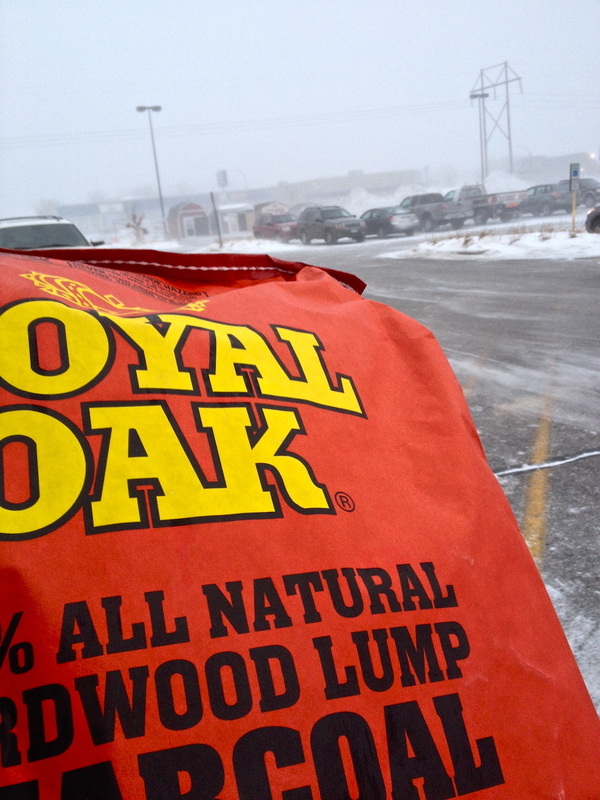 A bag of sensibly priced charcoal purchased as the blizzard set in. 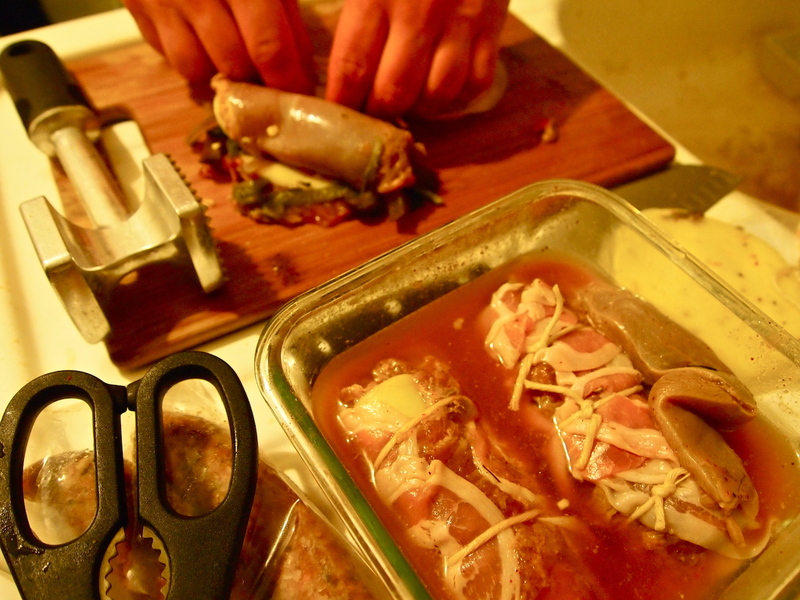 Rick prepares the pheasant-breast roulade. 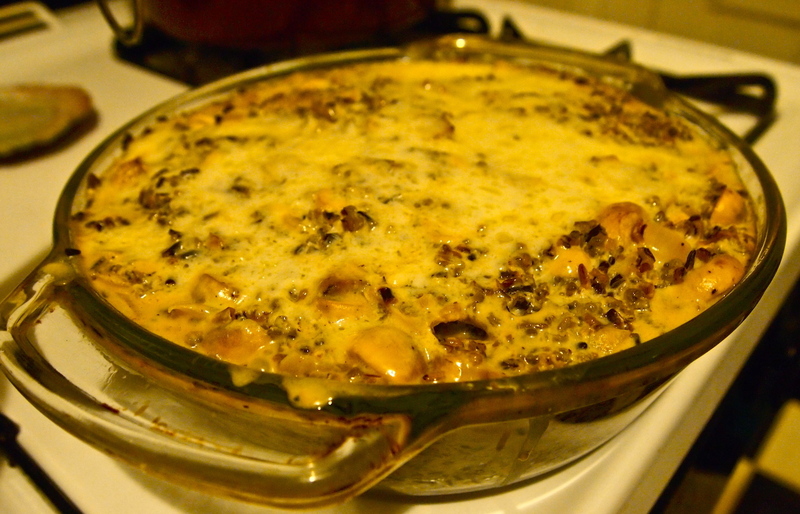 Molly’s wild rice-mushroom hot dish. This is deliciously perfect eating for a blizzard. Grilling the roulade. The temps were sub-zero at this point. In the distance from the grill is a mildly creepy-looking snowman I built the night prior, in anticipation for the sub-zero weather. The plated meal. We ended up finishing the roulade in the oven after putting a char on it with the grill. Wild rice-mushroom hot dish to the left, and steamed broccoli above, this just below a bit of table red.